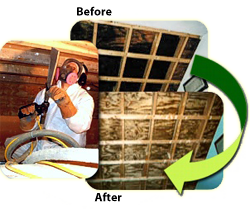 NBC Environmental, LLC would very much like an opportunity to introduce our company to you. We believe you will find our experience to be extensive, with over 20 years of continuous service in the Philadelphia area. Our service is top quality and reliable and our prices are extremely competitive. Our goal is to identify our customer's needs and then create and execute a safe Performance Work Plan that will meet or exceed those needs. We will provide our clients with fair market value for their investment, and follow all appropriate regulatory requirements. We strictly adhere to our Total Quality Control Assurance Work Plan. 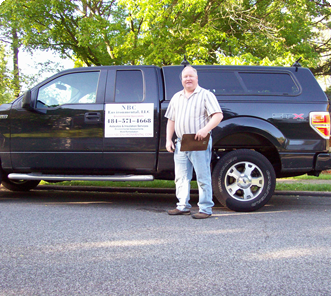 David Miller of NBC Environmental has been performing Environmental Contracting and Consulting since the mid 1980's. He has been part of many different aspects of environmental contracting including asbestos, mold, insulation services, demolition, lead abatement, pigeon control and remediation, storage tank removals, bat guano, and shooting range cleanups. Dave says "We have always performed our projects with the customer in mind and try to treat each project like we are working in our own home. We have always treated our customers well as we are a referral-based company and happy customers will refer their friends and family." Allen Feinberg has almost 30 years of experience in the environmental field in the Mid-Atlantic Region, performing both consulting and contracting services for many different kinds of clients including Fortune 500, industrial, commercial, municipal, military, private, and school districts/universities. Mr. Feinberg has been involved in several high profile projects, including oversight of the demolition and the remediation associated with the demolition of the location where the Philadelphia Convention Center stands, the GlaxoSmithKline facilities in Philadelphia and Piscataway, NJ and several major projects in and around the Philadelphia Naval Shipyard/Business Center facility. Allen has inspected over 7,000 buildings for environmental hazards totaling more than 100 million square feet. Allen says "At NBC, we pride ourselves on doing the job right the first time. We personally oversee all our projects and require them to meet the highest industry standards."